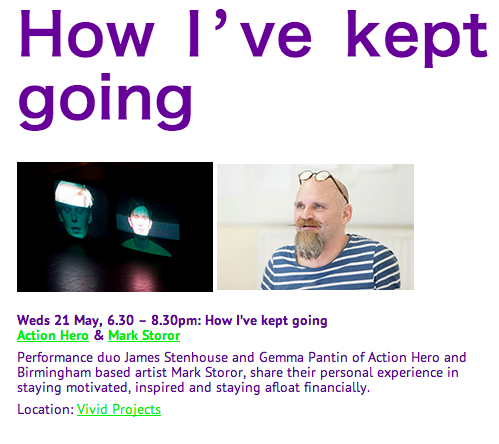 Our first artist talk of the series with our lovely Fierce FWD participants and Mark Storer and Action Hero. There was a lot of tea, beer, discussion, debate and of course some performance, including a shopping trolley bag, various phone calls on loud-speaker and some heart-felt words. There were no projectors in sight, simply experienced artists talking to emerging artists about How they ‘kept going’.